Home / JOB VACANCY / MINJINGU MINES & FERTILIZER LTD AREA SALES MANAGER - FERTILIZERS IS WANTED. MINJINGU MINES & FERTILIZER LTD AREA SALES MANAGER - FERTILIZERS IS WANTED. 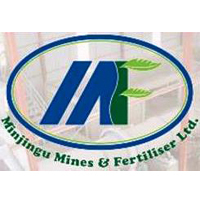 Minjingu Mines & Fertilizer Ltd is the only Fertilizer manufacturer in Tanzania. It has its own formulations & Brands. It is looking for Area Sales Manager for Southern and Northern Tanzania to Sale, distribute and promote its products in the respective areas. Candidates who are able to take up this challenge are encouraged to apply. To achieve sales of the various fertilizers being produced by the company. Develop distribution set up through establishing Sales depots and other channels of distribution. Ensure that the products are available to the farmers easily in all the geographical areas covered. • Develop data base of the Commercial farmers in the area, Different crops cultivated, Wholesale & Retail Agrodealer network, Cooperatives, etc. • Supervise the depots in terms of staff performance, stocks and cash collection and banking. • Liaise with local governments - Agriculture departments on our product availability and performance. Develop programme for demos with them to educate farmers. • Control costs and meet budgetary guidelines. • Knowledge of Tanzania geographically and Agribusiness. • Willingness to travel extensively at least 25 days in a month. • Ability to lead the team and good communication skills. • Self-driven person who is ready to achieve goals with minimum supervision. The remuneration package will consist of a mix of basic salary and Sales based performance bonus / commission.